Reason for Reading: Next book in the series/TLC Book Tour. 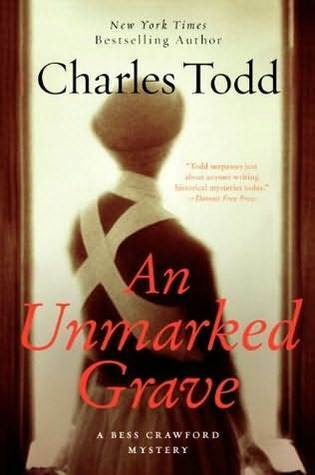 World War I nurse and amateur sleuth Bess Crawford matches wits with a devious killer in this exciting and suspenseful adventure from New York Times bestselling author Charles Todd. In the spring of 1918, the Spanish flu epidemic spreads, killing millions of soldiers and civilians across the globe. Overwhelmed by the constant flow of wounded soldiers coming from the French front, battlefield nurse Bess Crawford must now contend with hundreds of influenza patients as well. However, war and disease are not the only killers to strike. Bess discovers, concealed among the dead waiting for burial, the body of an officer who has been murdered. Though she is devoted to all her patients, this soldier's death touches her deeply. Not only did the man serve in her father's former regiment, he was also a family friend. Before she can report the terrible news, Bess falls ill, the latest victim of the flu. By the time she recovers, the murdered officer has been buried, and the only other person who saw the body has hanged himself. Or did he? Working her father's connections in the military, Bess begins to piece together what little evidence she can find to unmask the elusive killer and see justice served. But she must be as vigilant as she is tenacious. With a determined killer on her heels, each move Bess makes could be her last. Where this is the 4th book in a series, it makes it harder to talk about it. So, I am going to share some brief thoughts instead. I continue to enjoy the setting of this series. I appreciated the fact that there are actual scenes from the home front, but there are also moments from the field. Bess is an interesting character. Sometimes I find her a bit too perfect, but ultimately she has grown on me with each book. I like her much more now than I did in the beginning. One thing that I can't help thinking about is how every guy that she meets seems to fall in love with her. It's almost getting overdone. It might be time for her to have feelings for a guy, too. I really enjoyed how much of Simon there was in this book. I find we are really getting to know him and I really like him. I continue to be curious what role he was play in Bess' future. I think this might be my first novel set during the Spanish Influenza. I thought it was an interesting addition to the story. It touched many lives while it was spreading through the ranks. 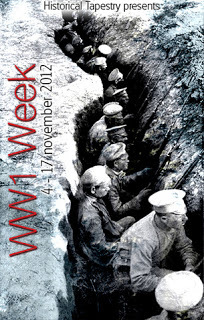 This makes me think about how I enjoy the details about WWI that are scattered throughout the books. It talks about gas masks, the dangers of the gases used, etc. It's also more from a medical viewpoint which is different from the norm. It is nice that characters from other books are at least mentioned even if they do not appear in the actual book. It gives underlining story-lines. They are always nice. My biggest problem with this book, though, was the ending. I actually got confused because I found it was a bit out of left field and very rushed. I am not quite sure I found it believable. It was page-turning, though. It was a mixed reaction ending. Thanks to TLC Book Tours for hosting this tour and for my copy of this book. This also means I successfully completed the Bess Crawford Read-Along. I am bad with read-alongs... So big deal! 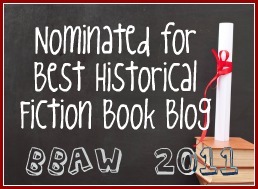 The book counts for the War through the Generations and Historical Fiction Reading Challenges. I too love Charles Todd. Have you read the Inspector Ian Rutledge series? I love them very much! His character and his quirky partner sleuth are great stories. Bess is a stiff upper lip, reserved, serious type British character. She grew on me as well and I think her character makes for a trusting type person. Others trust her implicitly. I have been wanting to read this series for years. I really need to get around to it. Great post. This is my favourite of the Bess Crawford mysteries. I'm looking forward to finding out what's next for Bess and I hope Simon Brandon is featured as prominently in future books as he was in this one.